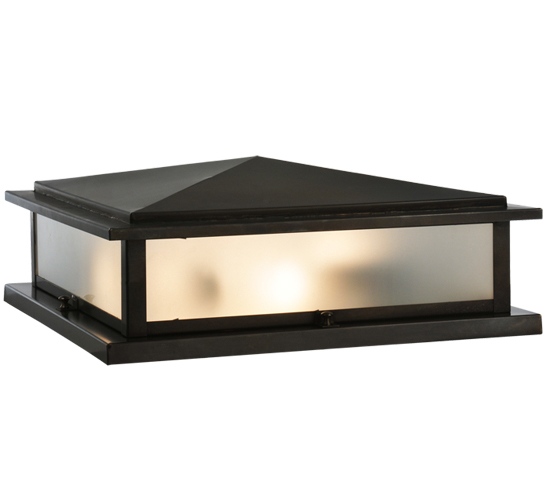 Description: The simplistic natural beauty of this outdoor fixture features Frosted art glass and a frame hand finished in a warm Craftsman Brown.Perfect accent to any landscape, driveway, home or for residential or commercial lighting applications.Handcrafted by Meyda artisans in our factory located at the foothills of New York's Adirondack Mountains.Energy efficient lamping options available. Custom colors, sizes and styles offered. UL listed for wet locations.